Councilmember Jannie Blackwell. Courtesy of Philadelphia City Council. 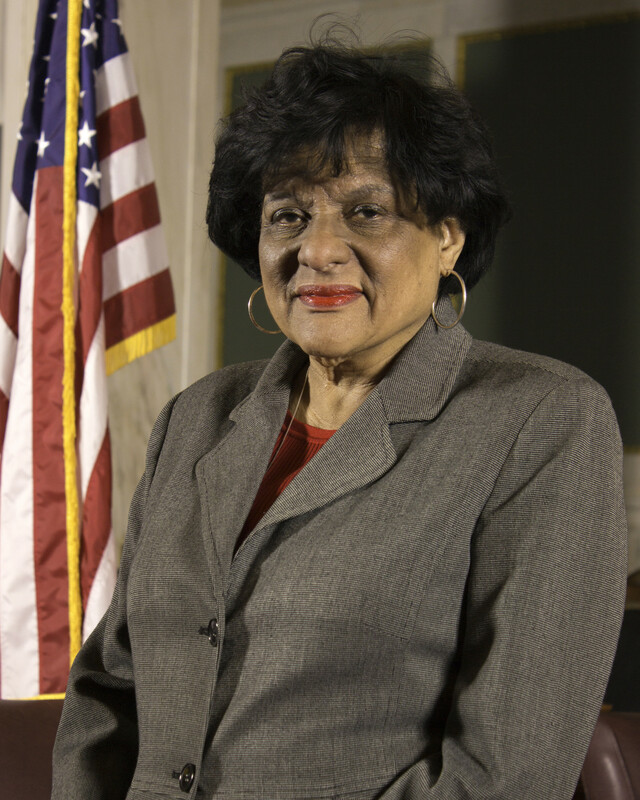 A month before City Councilmember Jannie Blackwell introduced a controversial zoning bill which would increase the value of an abandoned plot of land in University City, she took a $5,000 contribution from a trust connected to the owner of the property. The abandoned tract at 600 South University Avenue is owned by the Philadelphia Suburban Development Corporation, which was founded by Robert Nicoletti in 1962. According to campaign finance records, Blackwell’s campaign committee received a $5,000 donation on March 6th from the Robert Nicoletti Family Trust. Though Nicoletti died in 2016, his children Mark Nicoletti and Lori Peruto now run the Development Corporation. Nicoletti and Peruto also play a role in managing the trust named after their father, according to an article in the Philadelphia Business Journal. The trust and the Development Corporation even share the same address, Suite 200 in a business park at 100 Ross Road in King of Prussia. On April 5th, about one month after receiving the donation from the Nicoletti Trust, Blackwell introduced her zoning bill, which would allow a density of development on the site similar to that seen in the core of Center City. The City Planning Commission last Tuesday advised City Council to kill the bill. According to PlanPhilly, the commission was particularly concerned because Blackwell had introduced the bill in response to a specific request for the zoning change from the company. However, the Planning Commission’s vote is only a recommendation. And City Council’s tradition of “councilmanic prerogative” means that other Council members are likely to merely ratify Blackwell’s preferences for zoning within her West Philadelphia district. Christmas, the policy director for the Committee of Seventy, a local good government watchdog, said that while “it doesn’t look good” for a councilmember to introduce a bill to benefit a particular developer so quickly after receiving a donation, the larger problem is systemic. As a result of the councilmanic prerogative tradition, “councilmembers have all of the power over development decisions in their district, and there’s a real incentive for developers to have cozy relationships with them,” he told The Declaration. If Blackwell really believes the zoning change is in the public interest, Christmas said, she should explain that to the public. Blackwell did not respond to a request for comment from The Declaration, but she told PlanPhilly that she didn’t “know why they want [higher-density zoning],” only that it had something to do with a gift to the University of Pennsylvania. “It’s a Penn area, okay, so we assume they’ll work out whatever it is and then we’ll go from there,” she explained to reporter Jake Blumgart. A secretary for the Development Corporation said that Mark Nicoletti was on vacation and no one else was available to comment. The next step for the bill is consideration by City Council’s Rules Committee, which handles proposed zoning ordinances.